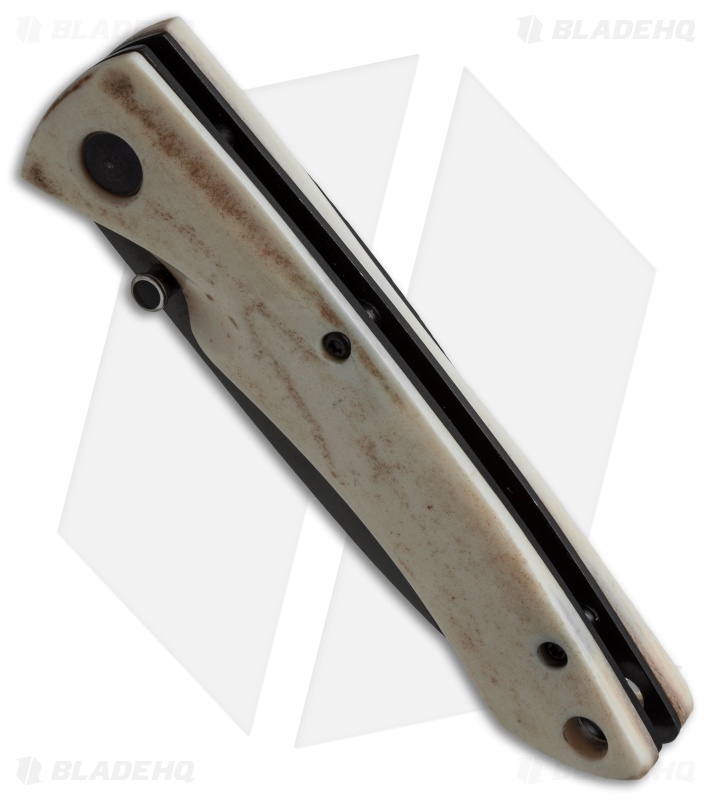 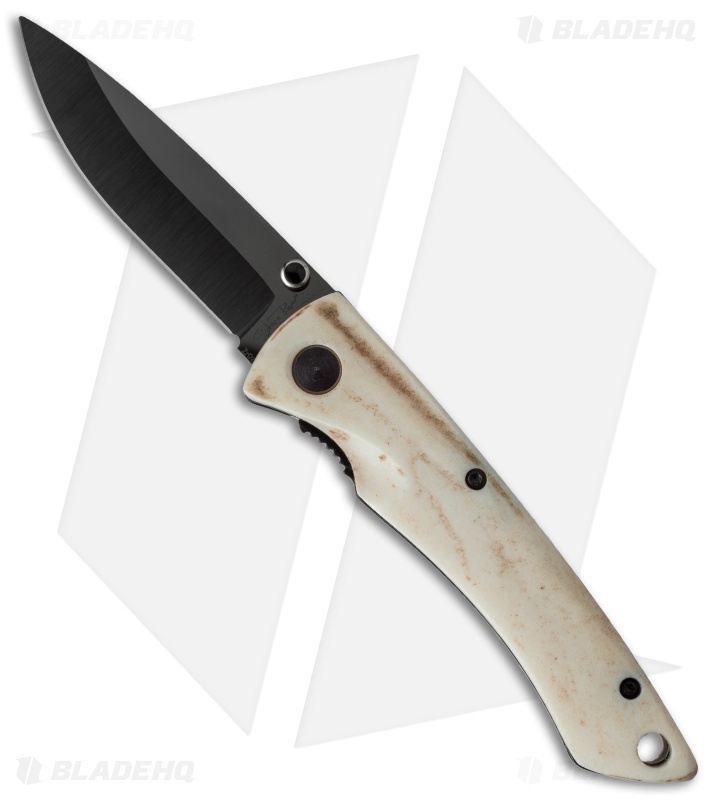 White stag horn handles give a classic look to this ceramic folding knife by Stone River Gear. The black ceramic blade contrasts beautifully with the rustic, light-colored stag horn scales. Stone River Gear specializes in designing high quality ceramic knives for the kitchen, outdoors, and general everyday carry. They use Zirconium Oxide ceramic which resists cracks and wear far better than other materials. 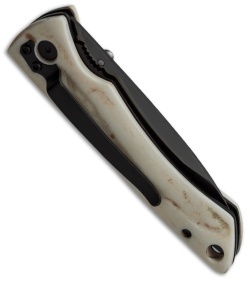 Experience the cutting power of a ceramic blade with the knives and tools from Stone River Gear. Authentic stag horn handle scales provide a classic, collectible appearance. Stainless steel pocket clip and a lanyard hole offer comfortable everyday carry options. 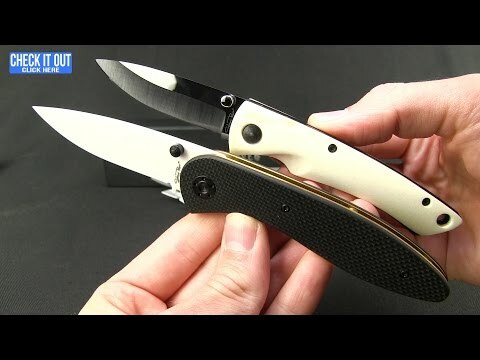 Ambidextrous thumb studs for smooth and fast blade deployment.